We are Amber Sausen and Daniel Green, sketchers from Minneapolis. This will be our third USk symposium and second visit to Barcelona in recent years. We attended the last two symposiums and have enjoyed getting to know the faces behind the amazing work each year. We look forward to meeting new sketchers from around the world and catching up with friends from Lisbon and Santo Domingo. 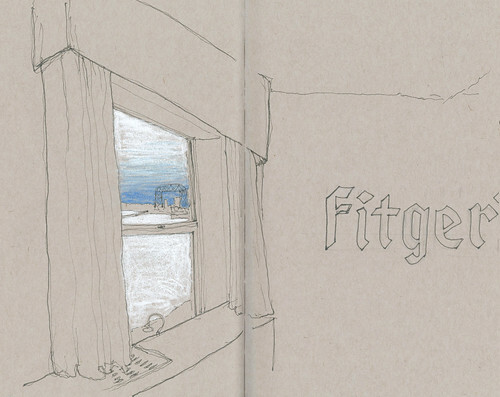 We are both in the field of architecture and came to sketching through our educations. 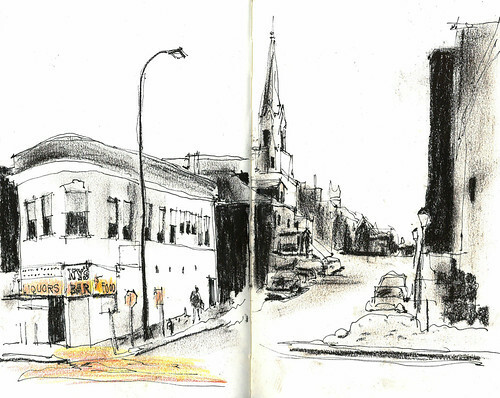 As professionals, we find respite and pleasure in the analog process of sketching and have used sketching to discover new cities and to get to know Minnesota. 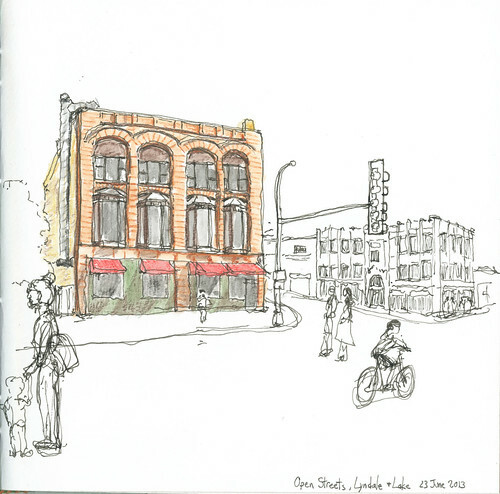 In Minneapolis and St. Paul, Amber is a correspondent with Urban Sketchers Twin Cities and we sketch with Metro Sketchers . Thanks again to Gabi and the fine team in Spain and around the world who have once again prepared a wonderful event in such a fantastic city. We will be arriving a few days before the symposium and staying a few days after. Please reach out to us via Flickr, Facebook or Twitter to meet up and enjoy some grilled octopus! Amber on Flickr and twitter @ambersausen. Daniel on Flickr and twitter @DanielJVerde. It will be great to see you both again. Safe travels! I´m looking forward to seeing you guys again! Hooray! We'll see all three of you very soon!